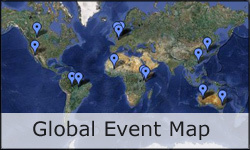 Join the Global Celebration on World Migratory Bird Day ! World Migratory Bird Day (WMBD) was initiated in 2006 and is an annual awareness-raising campaign highlighting the need for the protection of migratory birds and their habitats. 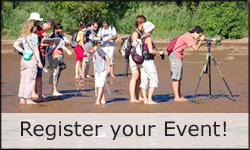 On the second weekend each May, people around the world take action and organize public events such as bird festivals, education programmes and birdwatching excursions to celebrate WMBD. Migratory birds connect all corners and almost every environment of the world along their migration paths. 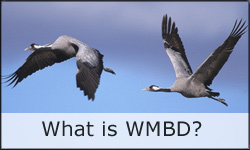 WMBD is a global event and also hopes to connect the world, and bring together organizations, governments and dedicated people to protect migratory birds for future generations. WMBD works as a network to increase public knowledge about migratory birds and their importance and also connects groups of people to share, celebrate with and learn from each other. 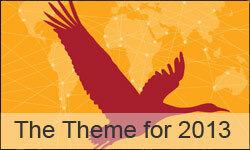 World Migratory Bird Day 2014 will be on 10-11 May 2014 - Please Save the Date!